Every diamond is crafted and cut with extreme passion and finesse at Mahendra Brothers. 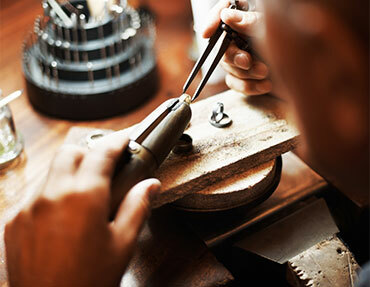 Our team of dedicated gemologists can transform even a modest stone into a marvel. Our factories are equipped with state of the art technologies to meet the ever changing and challenging global manufacturing standards. The trained and competent workforce of over 3,000 provides optimum results. From the larger benefits of smooth, hassle-free operations to the tiniest of details, our operations are completely computerized. All systems from clock-in to checkout are programmed through a central server. Our eminence and sustained perfection led to the creation of Uni-Design, Mahendra Brothers’ jewellery manufacturing division. Successful vertical integration ensures that our excellence and commitment extend to jewellery as well. An unwavering focus on customer needs, innovative product designs, unmatched craftsmanship & quality, reliable deliveries and a worldwide clientele are the hallmarks that have enabled Uni-Design products to carve a niche for themselves.